﻿ Catalonia Port Hotel, Barcelona | FROM $133 - SAVE ON AGODA! "From the time we checked in and departed the staff was amazi..."
Have a question for Catalonia Port Hotel? "The shower was amazing and the bed very comfortable." "Thanks for making us feel welcome." "Excellent location, large room and bathroom." 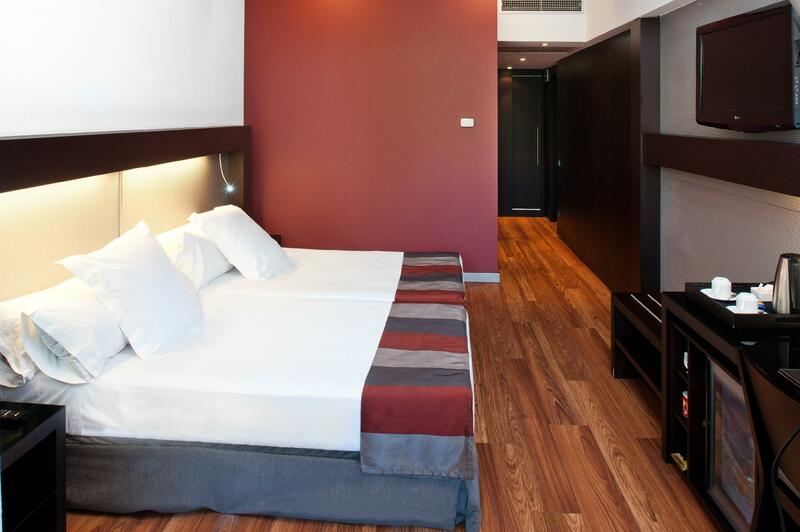 Ideal for fun and relaxation, Catalonia Port Hotel is located in the Gotic area of Barcelona. Only 15 km away, this 4-star hotel can be easily accessed from the airport. Also within easy reach are Antiques and Boutiques, La Talenta, Basilica de la Mare de Deu de la Merce. The facilities and services provided by Catalonia Port Hotel ensure a pleasant stay for guests. For the comfort and convenience of guests, the hotel offers 24-hour front desk, facilities for disabled guests, Wi-Fi in public areas, car hire, restaurant. Step into one of 41 inviting rooms and escape the stresses of the day with a wide range of amenities such as television LCD/plasma screen, internet access – wireless, air conditioning, heating, wake-up service which can be found in some rooms. The hotel's hot tub, sauna, outdoor pool, massage are ideal places to relax and unwind after a busy day. 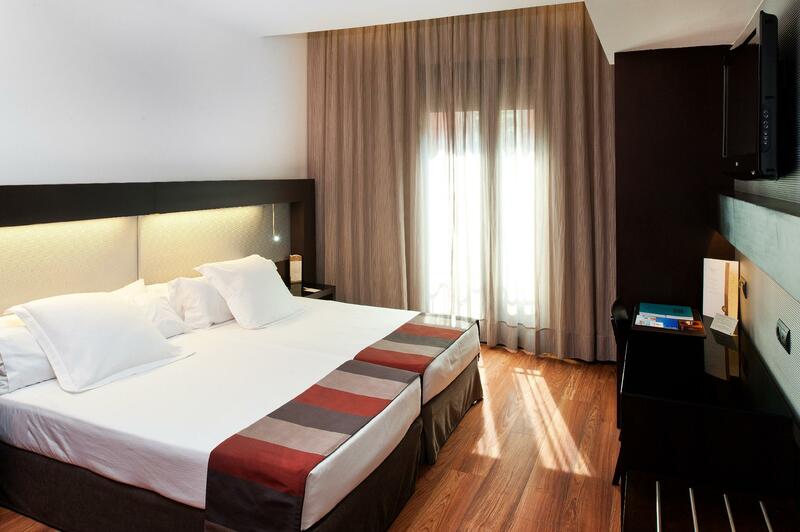 Catalonia Port Hotel is your one-stop destination for quality hotel accommodations in Barcelona. "Comfortable, friendly , good location." A security deposit of EUR 200 is required upon check-in for charges or damages during the stay and will be refunded upon departure. Pets weighing under 20 kilograms are allowed at the property for an extra charge of EUR 10 per night. The maximum number of pets allowed in each room is 1. This must be requested in advance so that a pet-friendly room is allocated prior to arrival. The property only admits one pet (dog or cat) weighing less than 20 kilograms. This service must be requested in advance and carries a supplement of EUR 10 per pet per night. For guests with pets, a security deposit of EUR 200 is required upon arrival for incidentals. This amount will be refunded in full upon check-out, once the condition of the accommodation has been checked. The staff were very friendly and helpful. The room was rather small and overlooked other units but was comfortable and very clean, as was the rest of the hotel. Overall I felt very relaxed staying there and would definitely recommend it. From the time we checked in and departed the staff was amazingly friendly and helpful. This was our first time abroad and after a grueling plane ride we just wanted to rest. They allowed us early check in and made absolutely sure we were comfortable always going over the top. The shower was amazing and the bed very comfortable. If we ever return it won’t be to catch a cruise ship. 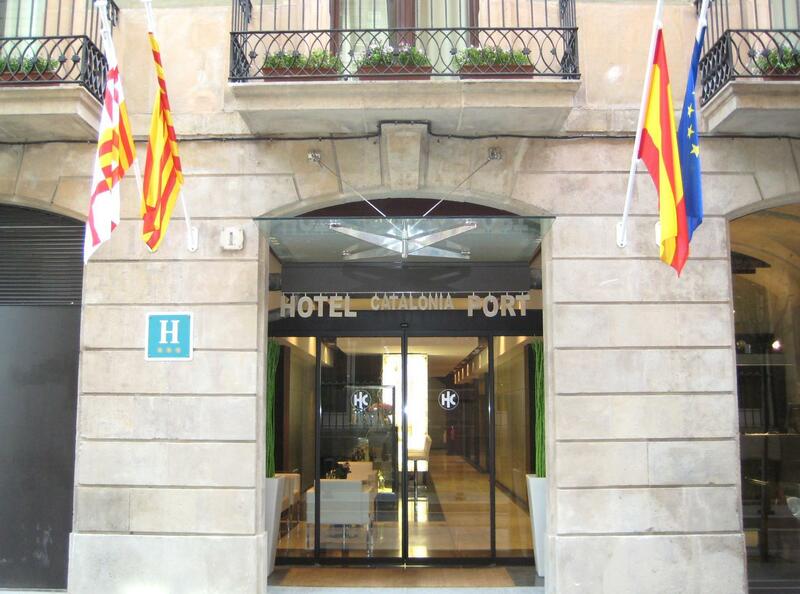 Our destination will be Catalonia Port Hotel. Thanks for making us feel welcome. Comfortable, friendly , good location. Would stay on next visit to Barcelona. 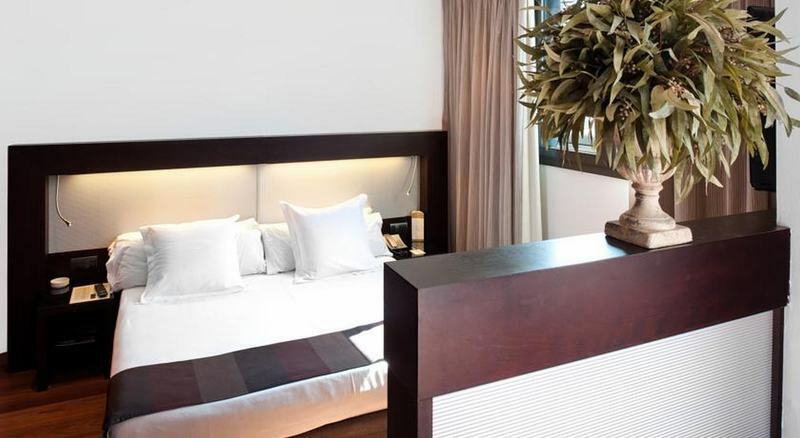 Pros: great location close to ramblas street in one direction and to barcelonetta and its beach in the other direction. Clean, friendly staff but their English is limited. Cons: rooms facing the street have a very poor sound proofing. I could hear the sound of people stepping on sidewalk metal plate all night. We stayed here for a mid week break We were greeted with a glass of champagne whilst checking in which I thought was a lovely gesture. The room was modern, clean and comfortable. The bathroom had a walk in shower which was great for those with limited mobility. Toiletries were replenished daily along with clean towels and a clean room. Afternoon tea was served daily(between 5pm & 8pm) to guests which was complementary and the selection was delightful. Overall the hotel is in a central location and we would stay there again if we return to Barcelona for another visit. May we take this opportunity to say thank you to all the staff for being polite, professional and welcoming. Please,please could you greace the bedroom doors as they squeak so loudly!! You can here everyone coming and going to their rooms! We would definitely stay again, thank you. Great hotel. Super location, quiet street for a good night sleep. Friendly staff and lovely facilities. Only minor disappointment was our room was an internal one with no window to the outside. Was a bit claustrophobic for 4 nights. However the room Itself was very comfortable but no tea or coffee making facilities in the room which is usually pretty standard in hotels everywhere. Suggest you ask for an front or rear facing room if booking this hotel. Other than this was perfect and would definitely stay here again. Overall good hotel! Good location! Rooms can be a tad small! However we got moved to a bigger room after complaining. Excellent location, large room and bathroom. Really comfortable beds! Fab breakfast. The hotel is of a very good standard and we enjoyed our stay, however I think it should be made quite clear that some rooms do not have a window with natural light. I found this quite oppressive and would not have liked to have stayed for any longer than 4 nights. We had a very memorable time, from the moment we arrived and were greeted with 2 glasses of champagne! Our stay was most enjoyable with the staff being friendly and attentive and the hotel being very clean. All in all was a perfect holiday! The customer service was exceptional, on arrival we were greeted by Kyle who was a pleasure to deal with, champagne on arrival was a nice touch as well. Overall our 3 night stay was excellent.